Pantry moths are so called because they feed on grain-based food ranging from all-purpose flour to cereal to rice and everything in between — all common pantry foods. Nothing is more unsettling than pouring your kiddo a bowl of cereal before school only to find some winged critters where Lucky Charms should be. 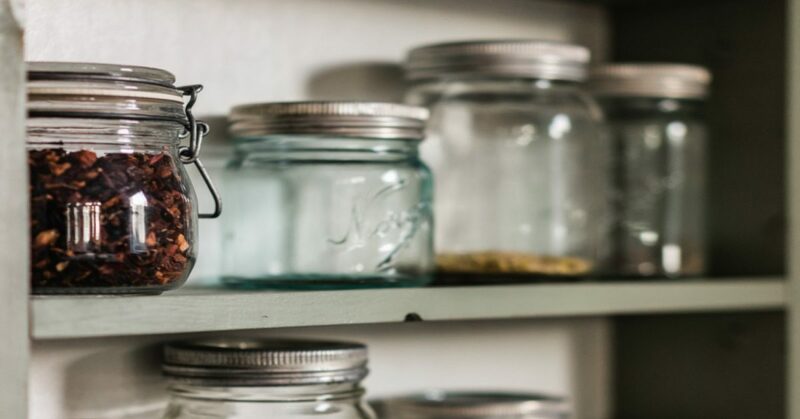 While pantry months can be eradicated on their own, a trained pest removal technician will be able to bring a more efficient removal thanks to their years of experience. If you think you might need pantry moth removal in Sacramento or the nearby areas, give us a call. As your local pest control company, we’d be happy to give you a free pest removal quote and help you move toward a pest-free home. There are a few variations of pantry moths that you might find munching on your flour or cereal. The easiest way to identify a pantry moth is by location. If it looks like a duck and quacks like a duck, it’s probably a duck. If it looks like a moth and is in your pantry, it’s probably a pantry moth. The easiest to identify is the Indian meal moth. This moth is 8-10 mm in length. Their wings are split evenly into two colors, with the top half of the wing being light grey to yellow, and the bottom half being bronze to brown. The Indian meal moth is most often found in flour where the female moths will lay up to 400 eggs. The eggs can hatch in under two weeks where they will remain in the larvae stage for some time. Other pantry moths are similar in size to the Indian meal moth but have a speckled brownish color. They lay slightly more eggs on average, up to 600, and the sticky eggs often clump up in flour or another grain. While Indian meal moths can spend up to 40 weeks in a larva state, most pantry months only spend about 40 days in this state before they fully mature. If you are finding small holes in cardboard or plastic packaging, you likely have a little pest that has nibbled its way through to get to the goods inside. Because pantry moths like to lay eggs in dry goods, you might notice some webbing or clumping in your bag of flour or rice. You might also find webbing in dark corners of your pantry. Finally, you might also find living or dead pantry moths. Pantry moths can spend their entire lives in a cupboard, so if there is a current infestation you likely have a few dead ones in there too. This is the absolute best way to prevent pantry moths. Anything that comes in a cardboard box or bag can be transferred to an airtight food storage container made of plastic or glass. While this may seem like a big upfront investment, you will reap the rewards when you don’t experience any more moth issues. Keeping your pantry clean is the best way to prevent pantry moths. If you spill some flour or drop a few grains of rice, take the time to clean them up. Wipe down the counters after you cook and make sure to throw away products that are past their expiration date. Pantry moths dislike certain strong smells like bay leaves or essential oils. Keep a few bay leaves in the corners of your pantry or, alternatively, soak a cotton ball in eucalyptus or tea tree oil and place them throughout the pantry. Most often, pantry moths are brought into the home from the grocery store. Even sealed bags and boxes can contain pantry moths, especially if they are close to their expiration date. Before buying dry goods at the grocery store, thoroughly inspect the bag or box for holes, damage, or musty smells which could indicate that it contains pantry moths. The best chance you have of buying products that are not infested with pantry moths is to shop at grocery stores that are kept clean and have a fast turnover of products. Many pet foods, especially bird seed, also contain pantry moths as there is not as much regulation when it comes to the production of these products. If you have a pet, keep their food in the garage or far away from the kitchen. So, you have identified signs of an infestation. The next thing to do is to start throwing away anything in your pantry they might have gained entry to. Unfortunately, it is difficult to tell exactly what has been touched, so it is best to throw away anything that wasn’t tightly sealed in a hard plastic or glass container. Pantry moths can chew through plastic packaging so anything in the vicinity that could be affected should be thrown away. This might feel wasteful, but we assure you that more food will be wasted down the road if you do not create a swift end to the current infestation. After getting rid of affected items, seal them tightly in a trash bag and take the trash bag outside so you don’t accidentally transfer any moths to other areas of the home. Any items that you keep should be wiped down with a disinfectant wipe or a paper towel with vinegar. This will ensure any eggs that might be stuck to items are taken care of. Put any kept items aside and clean your pantry thoroughly. Don’t forget to get deep into the corners and under shelves. You can use a cleaning spray, a mild soap and water solution, or a vinegar-based cleaning solution. After everything is cleaned and put away, make sure to do a thorough cleaning and sweeping of the kitchen. Check other cabinets that contain food and look for signs of infestations. As your Sacramento pest control company, we get a lot of calls about moths in a person’s pantry. Sometimes the infestation is too great to take care of by yourself. In other cases, you have followed the steps above and the problem keeps coming back. Either way, Earthwise Pest Management can help. When it comes to pantry moth removal, as with all of our pest removal services, we use a method of pest control called Integrated Pest Management. This involves minimizing our use of pesticides while still efficiently stopping the problem. We begin by performing a thorough inspection and identifying vulnerabilities that might be allowing the infestation to happen. We will then determine what steps must be taken to solve the problem so you can have a pest-free kitchen.